Chevrolet debuted the very first small-block V8 in 1955. Since then, the legendary power-dense engine has gone on to power generations of vehicles, dominate racetracks, and change the course of automotive history. 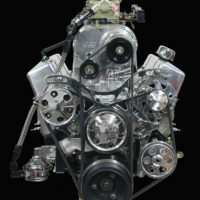 Sixty years later, Chevrolet introduced the newest member of the small-block family, the ZZ6 Turn-Key crate engine. 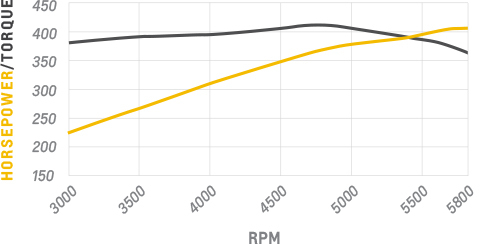 Delivering a solid 405 horsepower and 406 lb-ft of torque at 4,600 rpm, the ZZ6 remains a solid competitor in a sea of more complicated and expensive LS based engines. Can you build a stronger one for less? Probably, but this one comes with a warranty and offers a reliable entry level powerplant with unquestionable historical appeal. Featuring fast burn aluminum cylinder heads and aluminum roller rocker arms, the ZZ6 Turn-Key builds on the last six decades of legendary performance and innovation. 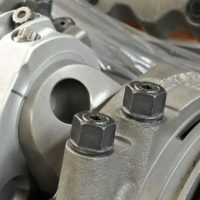 The ZZ6 Turn-Key comes with the intake manifold and distributor installed. 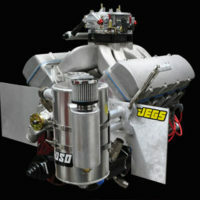 It also includes the carburetor, front-accessory drive kit, starter, fuel pump, alternator, air cleaner, and spark plug wires. 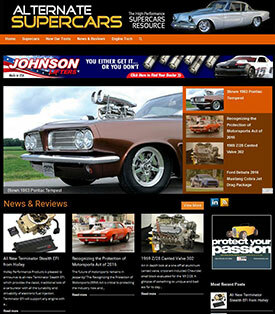 It’s just about everything you need to get the latest small block up and running in your project vehicle. 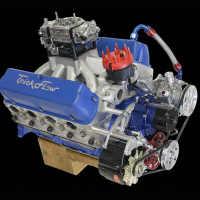 This powerful, smooth running engine is ideal for the average single four barrel hot rod and it will motivate a lightweight street rod with surprising alacrity. 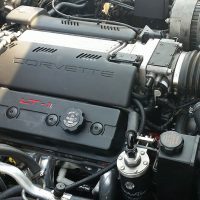 While Chevrolet has made a strong push for LS based engines, they have recognized the long term viability of the original small block and the surprisingly strong customer base that supports it. Check out the following specs. 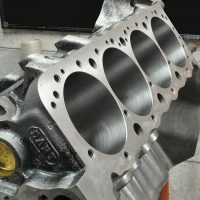 Other sites will simply regurgitate the official press release and this indeed a great new package for entry level hot rodders, but we take issue with the choice of a single plane intake manifold for an engine rated below 6000 RPM. 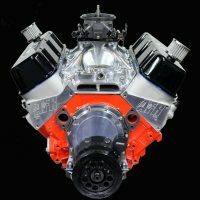 A dual-plane intake such as the Edelbrock Performer RPM Air-Gap would inject 20-25 more foot pounds to the primary driving range and still deliver the same power upstairs. 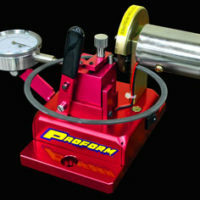 That would put it above 400 foot pounds from 3000 to 5500 rpm. Just sayin'. The single plane intake and beehive valve springs are a little sexier from a performance standpoint, but we're talking about a 5800 RPM redline here; an engine speed that even the most basic aftermarket spring will handle without breaking a sweat. 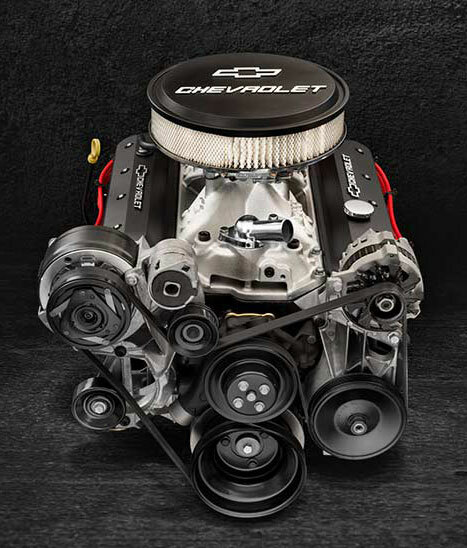 Still the release of the ZZ6 proves that Chevrolet has made a move to the center as they realized that the small block was still a formidable and less expensive player in an aftermarket that has raised the cost of LS-based performance substantially. 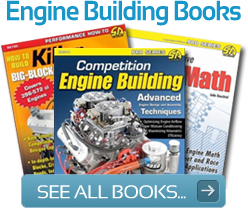 Hence we applaud their efforts and note that the ZZ6 provides a solid starting point that any hot rodder can easily tweak another 50 or more horsepower out of for relatively little cost.